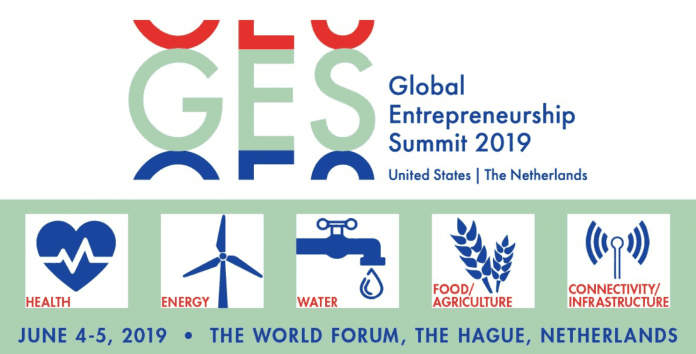 The 2019 Global Entrepreneurship Summit, June 4-5, in The Hague, the Netherlands will be buzzing with business potential informed by international thought leaders. GES 2019 brings the world’s top scale-ups, investors, corporate stakeholders, policymakers and industry experts under one roof. High-profile keynote speakers will join private-sector leaders to deliver remarks on unlocking innovation and breaking down barriers to entrepreneurship. Media representatives from around the globe will capture the momentum built over the course of the two days, showcasing breakthrough technologies and ideas, and highlighting achievements by GES participants. Be prepared to participate with your drive and ambition and to offer new perspectives on tech solutions to global challenges as untapped business opportunities. Notification of selection to join will be made by March 4, 2019. Confirmation of attendance by invitees must be received by April 2019. Most entrepreneurs will need to cover the cost of their travel and lodging to attend. A very limited number of scholarships are available. There is no conference fee associated with this event.